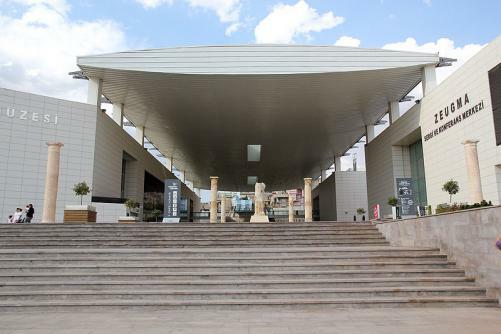 Despite only opening in 2011, the world’s largest mosaic museum in Gaziantep is fast becoming one of Southeast Turkey’s major cultural attractions. 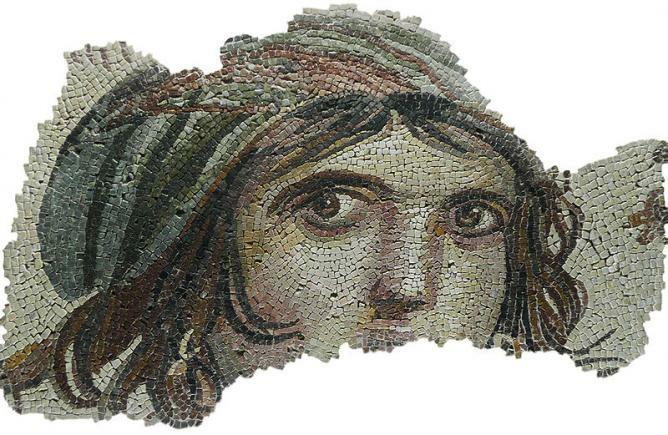 Populated by partly reconstructed ancient villas, which were excavated on-site around the Euphrates river, the Zeugma Mosaic Museum offers a stroll through history. The urgency behind the salvation and preservation of the historical artifacts, and the subsequent creation of a new museum to shelter them, can hardly be detected while wandering through the serene old ‘villas’ that, more than 2000 years ago, dominated the Euphrates river. Τhrough 1700m2 of priceless mosaics generously laid between columns, statues, fountains and frescoes, the Zeugma Mosaic Museum attempts to recreate the atmosphere that once prevailed in the prosperous and cosmopolitan lost city of Zeugma. The experience is enhanced via decidedly modern audio-visual effects and 3D films. Strategically spread along both banks of the ancient Euphrates, on the Silk Road to China, Zeugma was founded in 300 BC by one of the generals of Alexander the Great and reached its peak during Roman rule from the 1st century BC to the 3rd century AD. A major commercial thoroughfare, it soon filled with sophisticated and luxuriously decorated villas – precious parts of which now sprawl across three museum floors, along with artworks and artefacts from neighbouring areas. Subsequently invaded by different rulers, and even destroyed by an earthquake, the remaining city was newly invaded by looters in the 20th century, when illegal activity was rife and a lot of artefacts were destroyed, or disappeared. In the year 2000, the plans for the creation of the Birecik Hydroelectric Dam, which would permanently flood the city, put Zeugma, once again, in a state of emergency. An international team of archaeologists rushed to the area, in a desperate attempt to rescue the soon-to-be-hidden treasures. 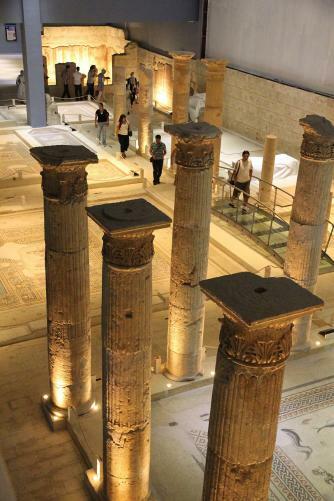 This time, at least, Zeugma had the government’s full attention, and an impressive new museum was designed in its honour — one that put Gaziantep back on the tourist map, not just for its famous kebab and baklava, but as a historic destination of major significance and beauty. Mosaics like the trademark Gypsy Girl with her emotive eyes, glorified in a room all to herself, the sea deities Titan Oceanus and his wife Tethys, the statue of Mars, God of War, the Poseidon and Dionysus residences have now created a divine neighbourhood all of their own. Through various levels of walkways, visitors can admire them all in detailed close-ups, or panoramically. Complimentary light effects faithfully fill in any missing parts of either an elaborate mosaic (with 13 different colour harmonies – a handful more than those that, up until recently, made Tunisian mosaics so captivating), or the surrounding scenery. Interactive displays will entertain the kids, and informative videos – as well as a laboratory with archaeologists working in open view – will educate the adults. If anything, the Zeugma Mosaic Museum is a first-class example of how the ancient and the modern can harmoniously work together, in a cultural pairing that is as profound as it is spectacular.